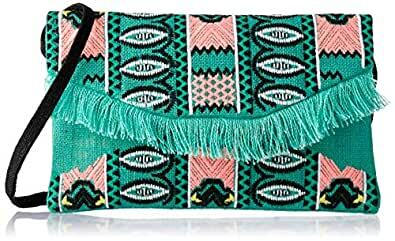 Handmade embroided clutch.- A playful, handmade clutch that is sure to turn heads - Fun colors and practical size. - Beautifully designed print, with fringe details - Adds a splash of color to any outfit. Product Manufactured in India. Contains Natural Wool Fiber.